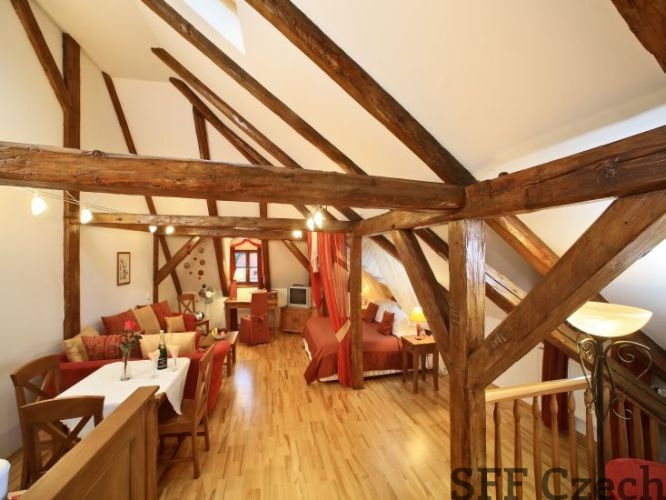 Spectacular studio apartment with an excellent Castle View and a romantic, canopied double bed. It has a sleep sofa for two extra persons and exposed wood beams in its high cathedral ceiling. Bathroom has a combination tub/shower. Cozy, studio apartment with a romantic, canopied double bed plus sleep sofa for two extra persons. The dormer window has a view of the church steeple soaring above nearby rooftops. Has exposed wood beams in the high cathedral ceiling. Bathroom has a shower. 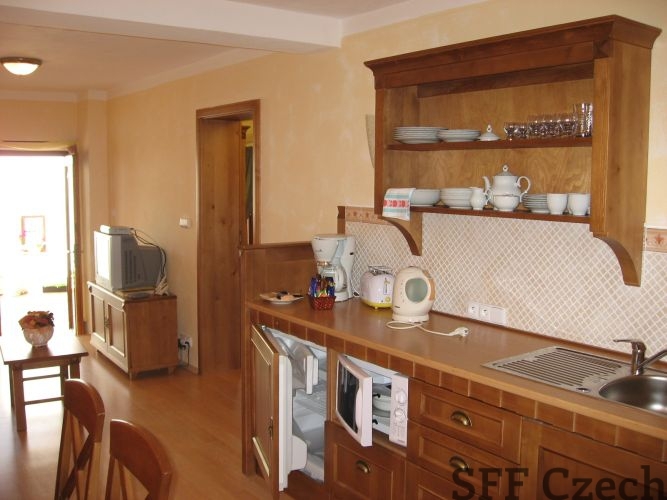 Spacious apartment with a double bed in the first bedroom and two single beds in the second bedroom. There is a sofa bed in the living room for two extra persons. The living room and the bedroom with single beds have excellent Castle views. This apartment has a flat screen TV with a USB port that plays films in DivX format. The bathroom has a tub/shower combination. Has two double beds in two separate bedrooms plus a sofa bed in the living room for one extra person. The bathroom, although small, has a shower. Sounds outside the living room and one of the bedrooms may be an issue for "light sleepers" during warm weather until the nearby restaurant closes for the night at 11:00 p.m.